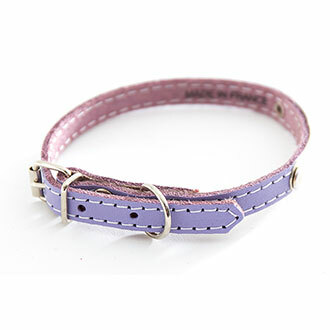 purple leather dog collar. Classic leather stitched with plate. Classic leather stitched cut franc. With plate. No doubled. Nickel buckles. Variable thickness depending on the size of the Collar. Leather full flower. Made in France.